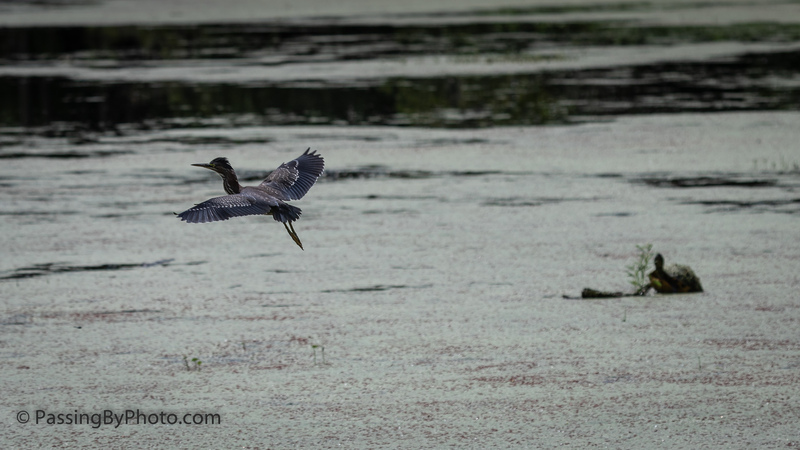 The Green Heron from Saturday’s post fished awhile then took off for more private quarters. He wasn’t going very fast and he rounded the tree that up until a month ago was full of juvenile Great Egrets. 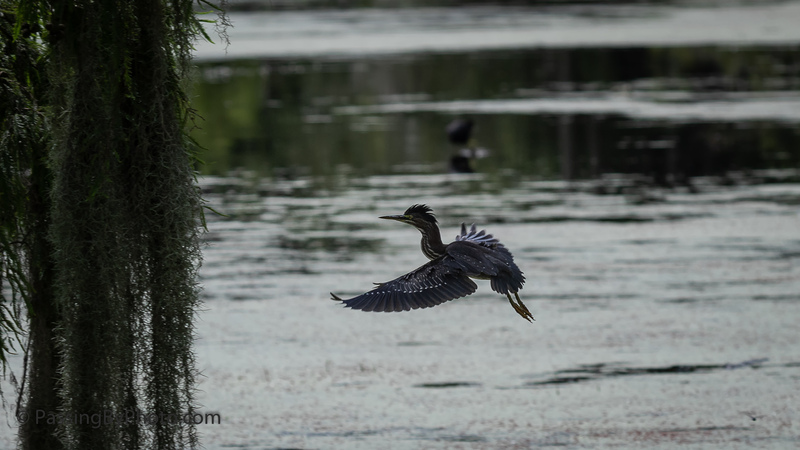 Green Herons are generally shy, and as expected he landed in a spot that was partly shielded from my view, which he had all to himself. 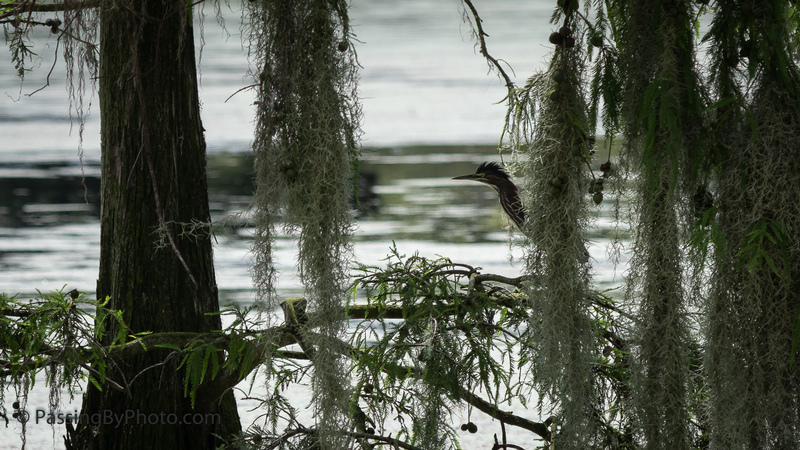 Very cute with all the spanish moss and the heron poking his face and beak out. Love it! Thanks, Liz! That moss made a nice hiding spot for him.